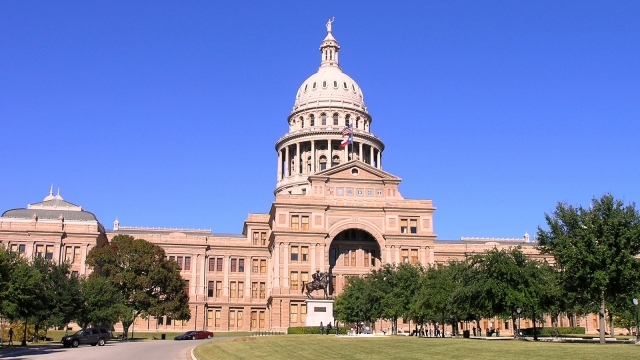 When Texas’ 2019 legislative session began in January, lawmakers in Austin stated their intention to focus on key funding issues facing Texas — issues like property tax reform and education funding. Yet anti-equality bills — bills that are designed to harm LGBTQ Texans and, as a consequence, the businesses that depend on them — are continuing to advance. In recent weeks, many businesses and community leaders have spoken out against these discriminatory bills, but still, they advance. This week, five anti-equality bills are scheduled for action in the legislature, and HRC will be watching should more emerge. Here’s a quick rundown. Today, the Senate passed SB 17, a bill that Lt. Gov. Dan Patrick put on his list of “must pass” bills this session. This bill would allow a professional license holder to discriminate based on their religious beliefs. License holders in Texas include health care professionals, counselors, lawyers and those in dozens of other professions. This bill would allow them to impose religious litmus tests on potential customer and patients in order to deny goods, services or care. For example, a mental health counselor could go beyond their clinical role and attempt to evangelize or “convert” the faith or orientation of an LGBTQ child entrusted to their care — without any professional consequences. The bill now goes to the House. On Wednesday, the Texas House Committee on Juvenile Justice & Family Issues will hold a hearing on HB 1910, a bill that would prohibit judges from considering factors related to a child’s gender identity, including whether parents are supportive of a child’s transition. Despite data that proves otherwise, this bill implies that a parent’s objection to acknowledging that their child is transgender is harmless for the child’s mental, physical and emotional health. The bill carves out a mandatory blind spot, forbidding a judge from considering information that is critical to serving the best interest of the child. HB 1910’s intent is discriminatory against transgender youth and its results will be unconscionable. These bills are a replacement for SB 15, a dangerous bill that would preempt local control of paid leave policies for employees while also threatening enforcement of existing non-discrimination ordinances in cities across Texas. While HRC opposed the original bill, it at least contained a clause specifically protecting municipal non-discrimination ordinances. Yet Gov. Patrick pushed for a last-minute change that removed that protection. When the bill stalled because of his forced change, Patrick ceased pushing SB 15 and instead replaced it with four separate bills aiming to accomplish the same thing — yet three of those four bills still put non-discrimination ordinances at risk. The bills, introduced by Sen. Creighton, are likely to be heard in the Senate State Affairs Committee this Thursday. HRC will continue working with our partners on these five bills and any other discriminatory legislation that targets LGBTQ Texans.